Did you know that poor data type choices can have a significant impact on your database design and performance? 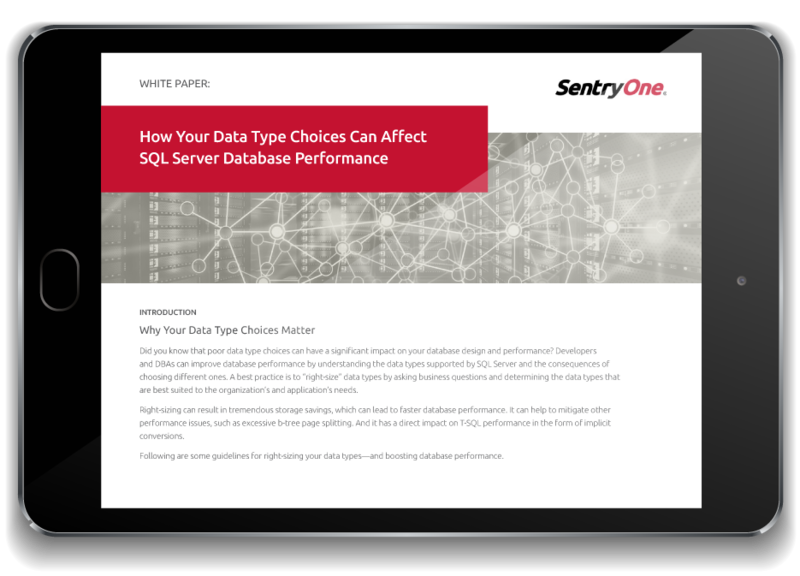 SentryOne Senior Solutions Engineer Andy Yun shows you how you can improve database performance by understanding the data types supported by SQL Server and the implications of choosing different ones. SQL Server’s 8KB data page size limit and the conditions that can lead to page splitting. Implicit conversions, an unfortunate by-product of mismatching data types.